A Mars rover has caused new confusion over theories about water on Mars after studying rocks which appear to both prove and disprove current ideas about liquid on the red planet’s surface. For ancient Mars to accommodate water, conditions on the surface of the Red Planet would have had to be much warmer than today and with greater carbon dioxide levels forming a protective greenhouse-gas blanket. However, new research from NASA has thrown further confusion into theories about water on Mars after the Curiosity rover uncovered rocks indicating the existence of a lake – but no signs of the carbon levels required to keep that water unfrozen. "It would be really hard to get liquid water even if there were a 100-times more carbon dioxide in the atmosphere than what the mineral evidence in the rock tells us," Thomas Bristow from NASA said in a statement. 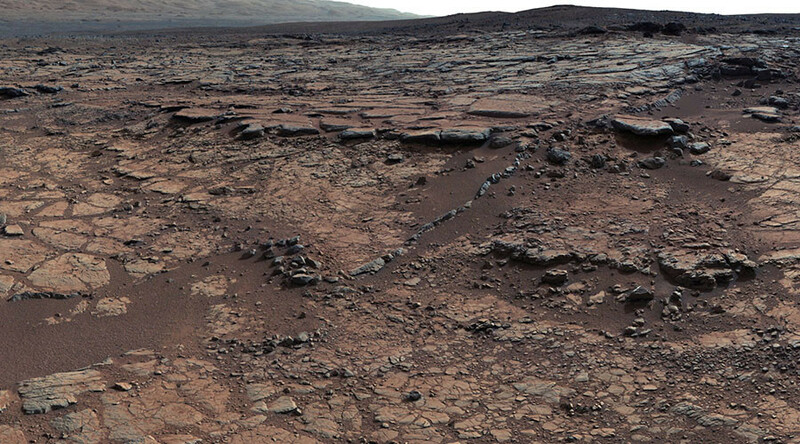 The rocks studied are believed to be 3.5 billion years old and hail from the planet’s Gale Crater. Other greenhouse gases such as sulfur-dioxide could have been responsible for maintaining liquid water but would be difficult to detect, as Bristow explained to Space.com: "The downside of all these other greenhouse gases is that they tend to be quite reactive, so when you put them in the atmosphere, they don't hang out an especially long time." However, Bristow admitted this greenhouse gas theory is itself not conclusive: the Gale Crater shows evidence of lakes and rivers having existed for hundreds and even thousands of millions of years. The findings mean scientists will have to dig deeper to explain the ample evidence that water once existed on Mars. Other theories being discussed include an ice cap insulating the water, keeping it at liquid temperature, or a shift in the planet’s orbit, creating a sudden and long-lasting change to its temperature. The presence of water on Mars is key to the theory that life once existed on the planet as scientists have proven that any environment on Earth capable of sustaining water can also sustain life.